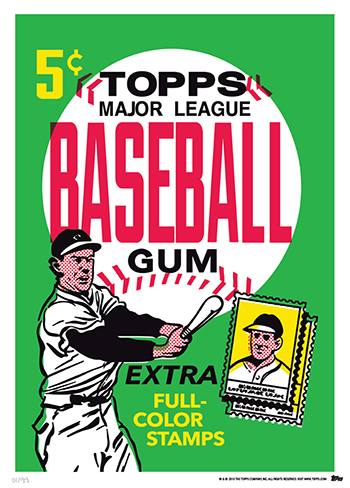 Once upon a time, baseball card wrappers were works of disposable art. 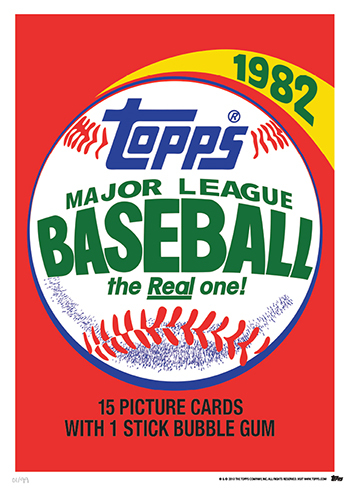 Open enough packs of a given set and the packaging became almost as engrained in the collector consciousness as the cards themselves. 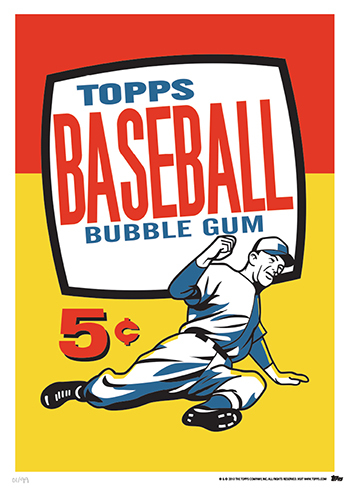 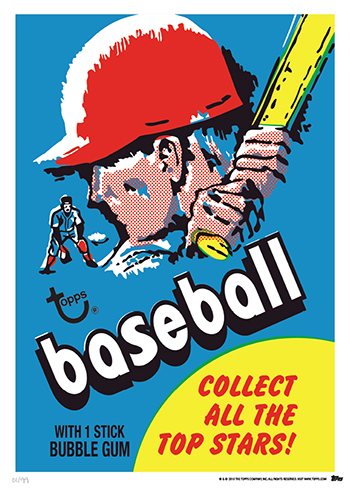 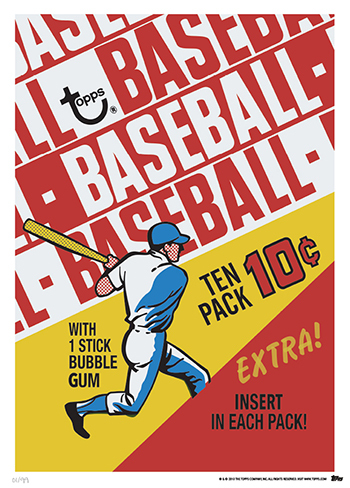 2014 Topps Baseball Wrapper Art recreates wax wrappers from 1952 through 1989 as limited edition display pieces. 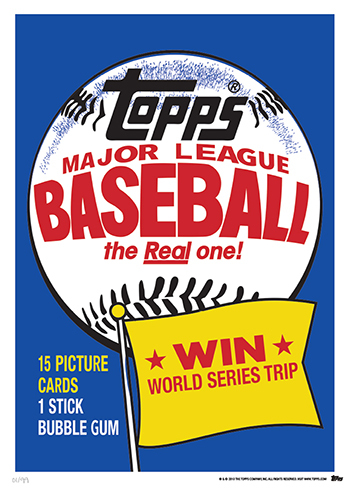 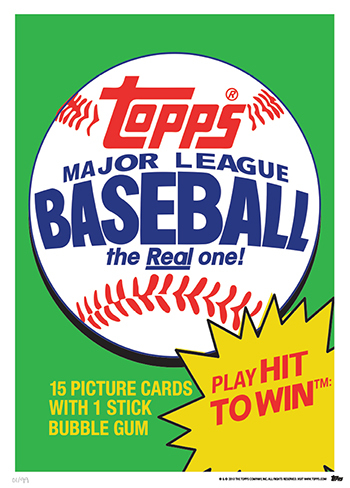 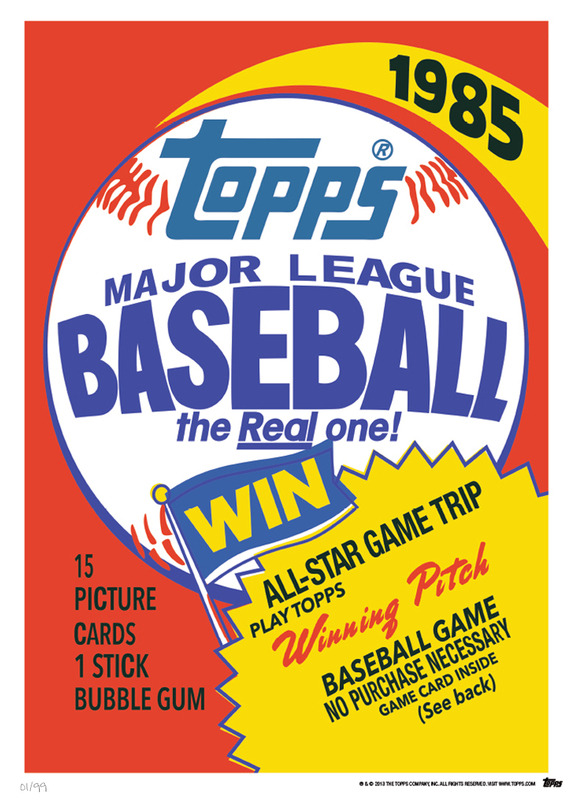 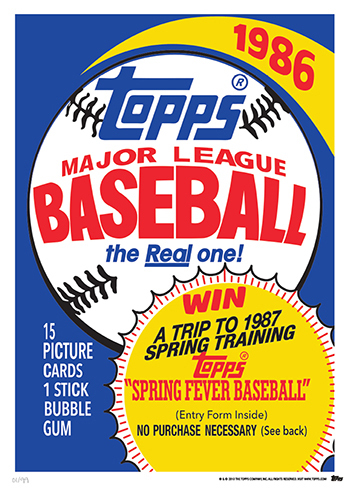 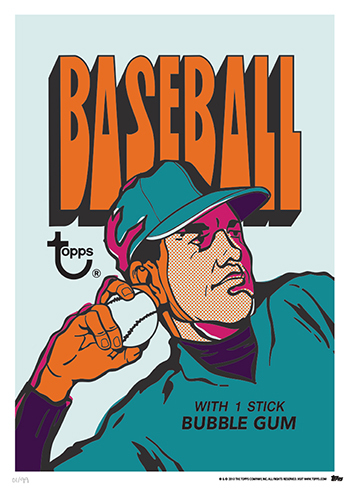 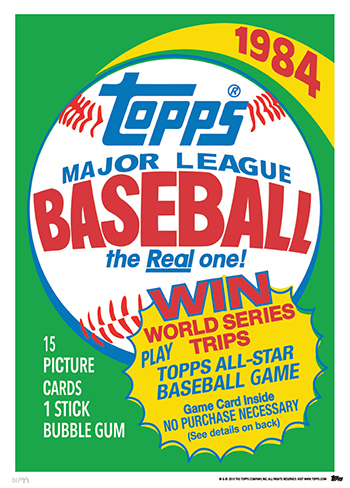 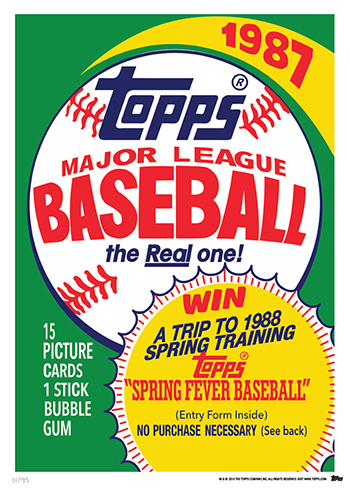 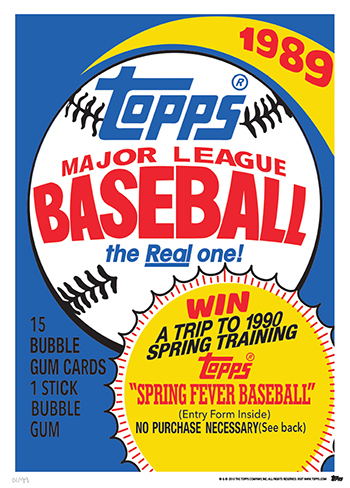 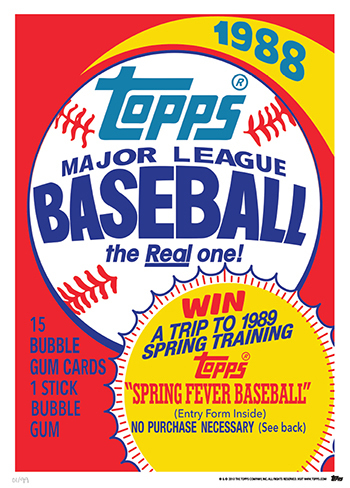 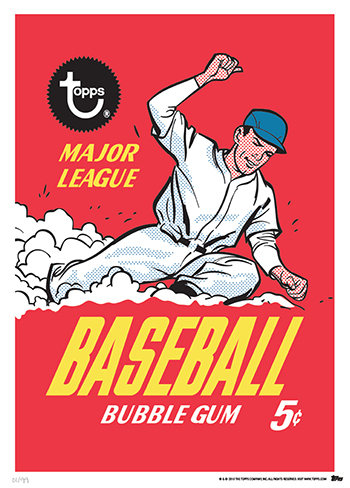 2014 Topps Baseball Wrapper Art is available exclusively on Topps.com in two forms and sizes. 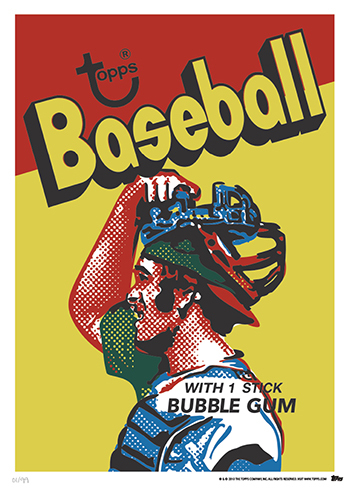 Individual prints measure 10" by 14". 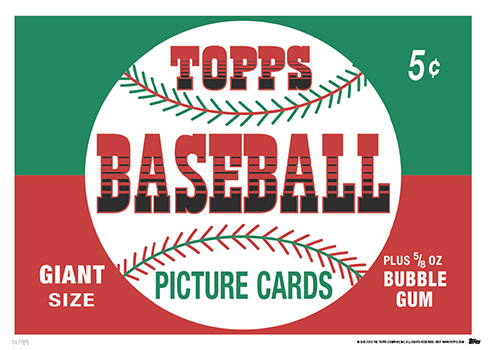 They're numbered to 99 and cost $29.99. 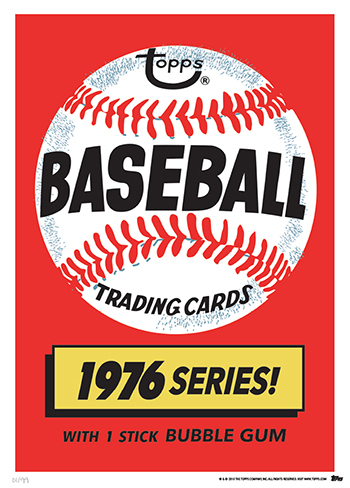 Collectors can also buy decade sets. 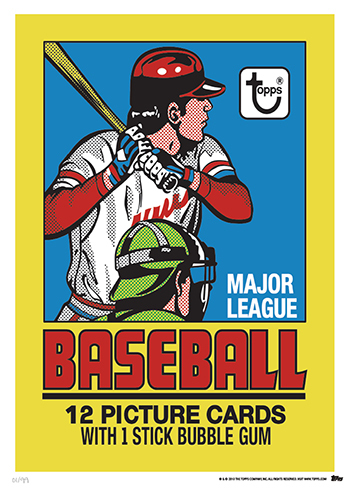 These are smaller, measuring 5" by 7". 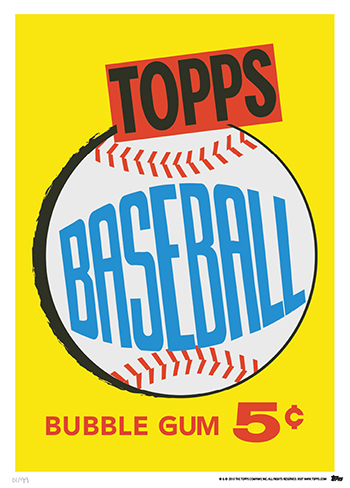 Each set of prints is $49.99 and numbered to 49 copies. 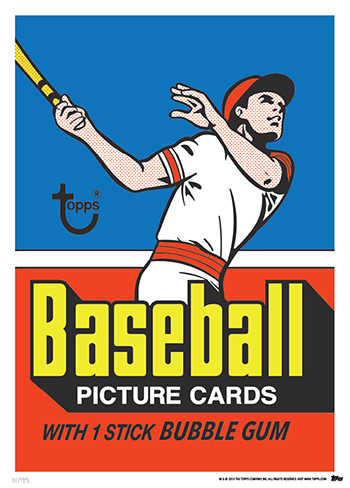 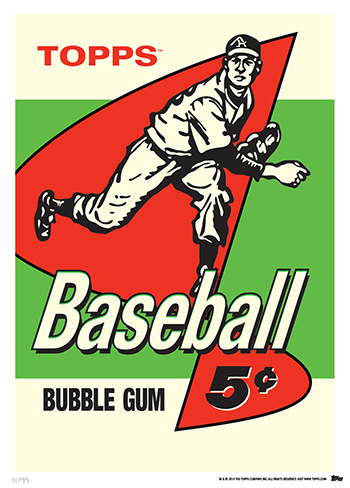 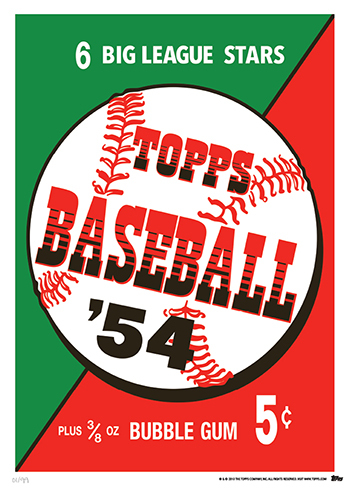 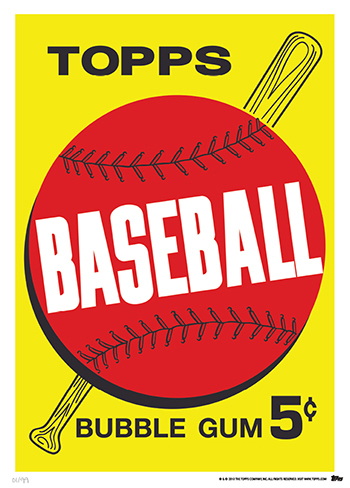 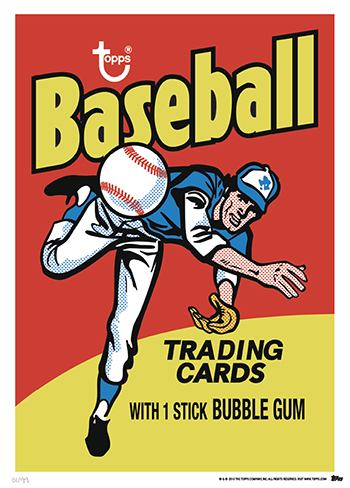 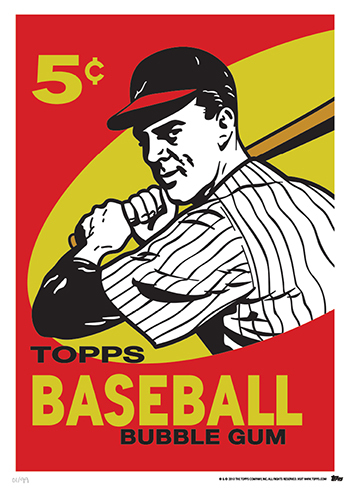 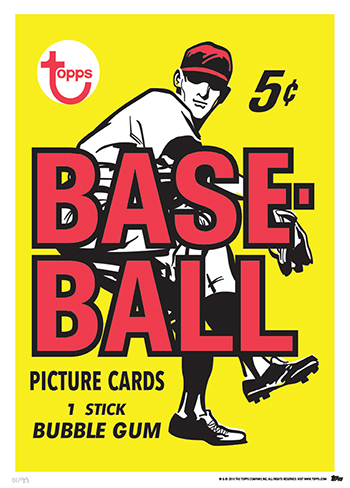 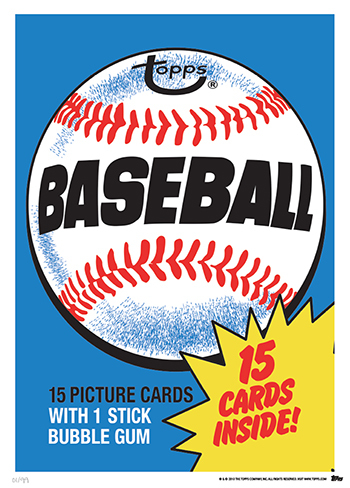 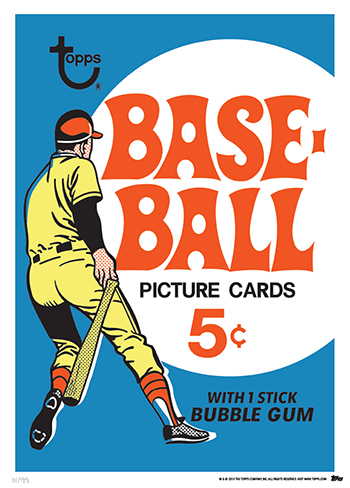 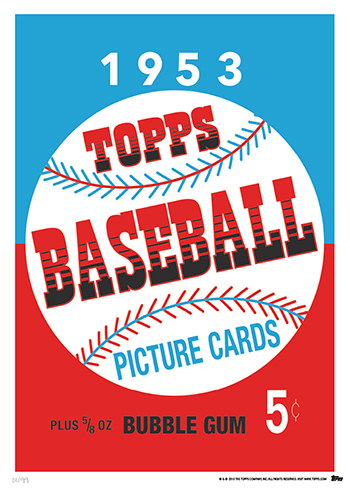 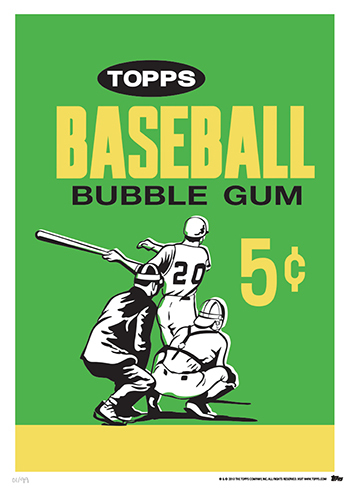 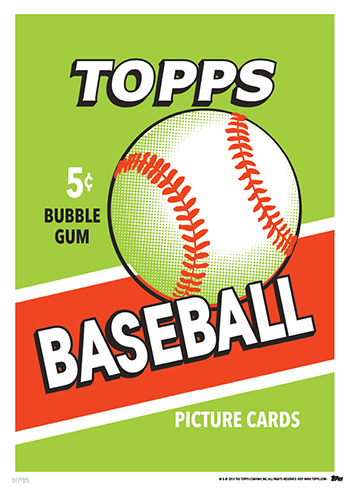 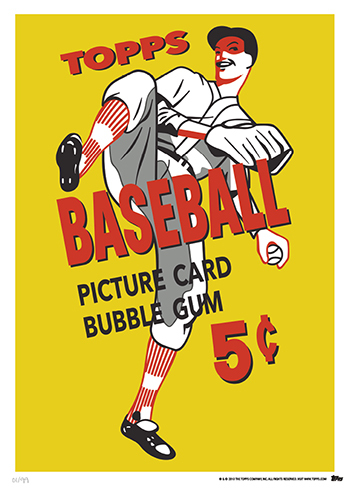 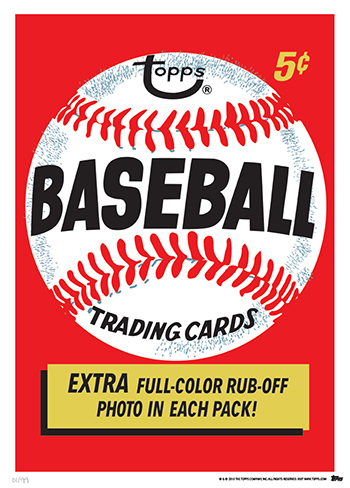 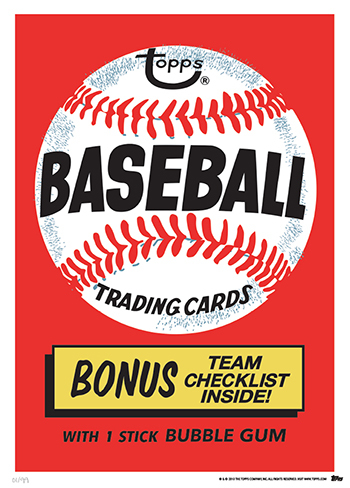 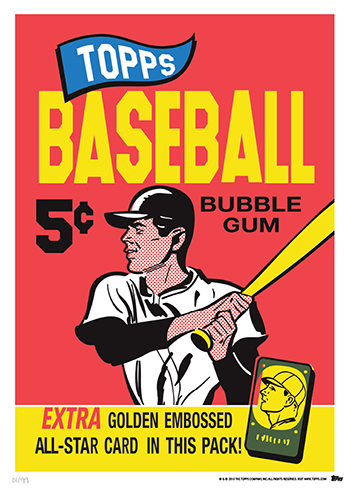 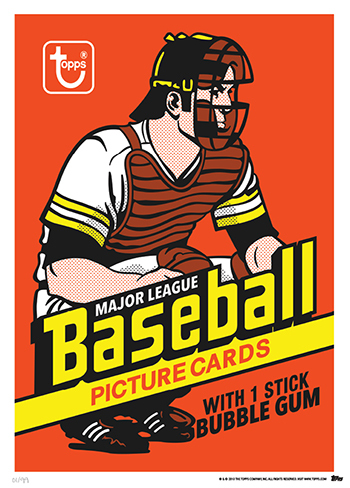 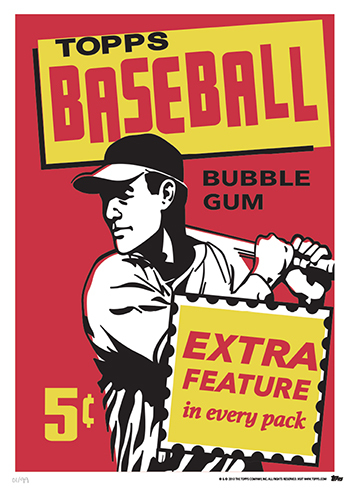 All 2014 Topps Baseball Wrapper Art is printed on vintage-style card stock similar to what's used with Topps Heritage.